Description: Rosehip oil is intensely high in essential fatty acids (EFA) and can be used to alleviate irritated, dry, and weathered areas of the skin. It's also relevant for helping support scar, burns and stretch marks. However, caution must be excercised when acne is present as rosehip may worsen acne complaints. Traditional use: Rosehip oil is growing in popularity with massage therapists because it can rejuvenate the skin, ideally used in a 10% diluted solution. It's also also used for manufacturing and make-up. 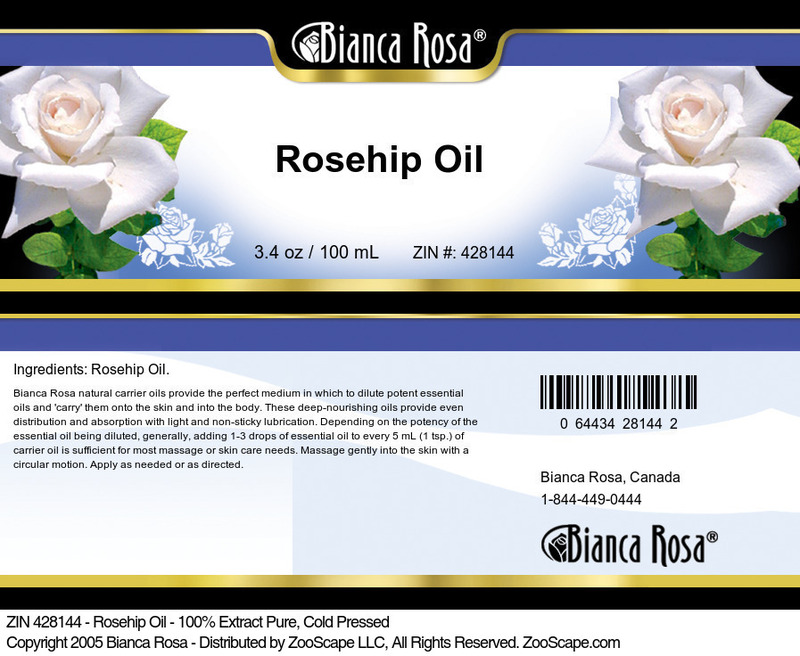 Scent: As with most carrier oils, Rosehip oil has very little scent. Consistency: Good - Typical of most carrier oils. Absorption: Rosehip oil absorbs into the skin reasonably well, but you experience some stickiness when applying it undiluted onto the skin. Expiration: Rosehip oil is slow to go rancid, so you should be able to keep it for 6 months to 1 year, especially if stored in a cool place out of direct sunlight. Should skin sensitivity occur discontinue use. Store in a cool dry place. Keep out of reach of children. In high concentrations, Rosehip Oil may aggravate acne.